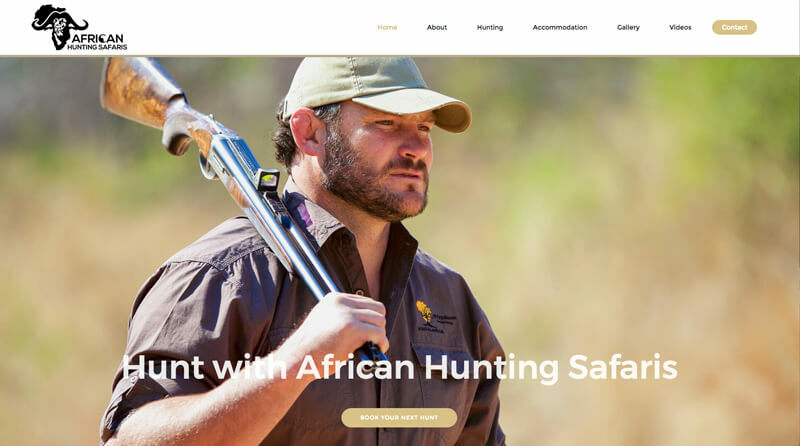 Are outfitters in the hunting industry, located near Tzaneen and Phalaborwa in the Limpopo Province and approached Just Jakes Web Design to handle the designing and launching of the website for their new venture. They have requested a Website that was both modern / stylish and easy to navigate, it was important to have enough call to actions and links between pages. Catering for the international market they wanted to keep things simple, yet upmarket. 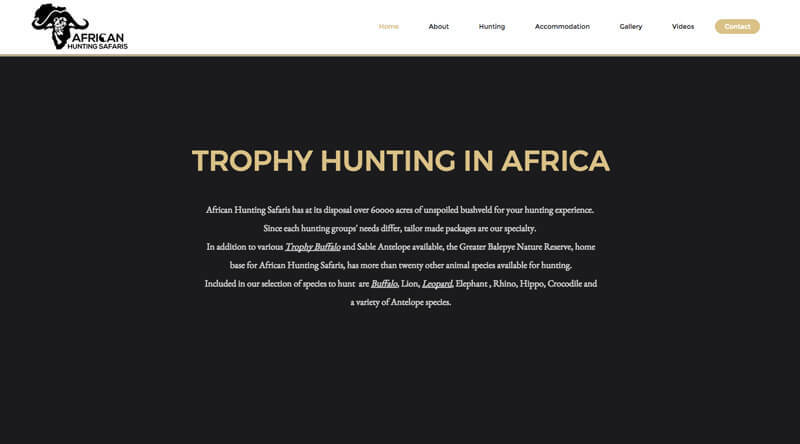 Another screenshot of the African Hunting Safaris website.